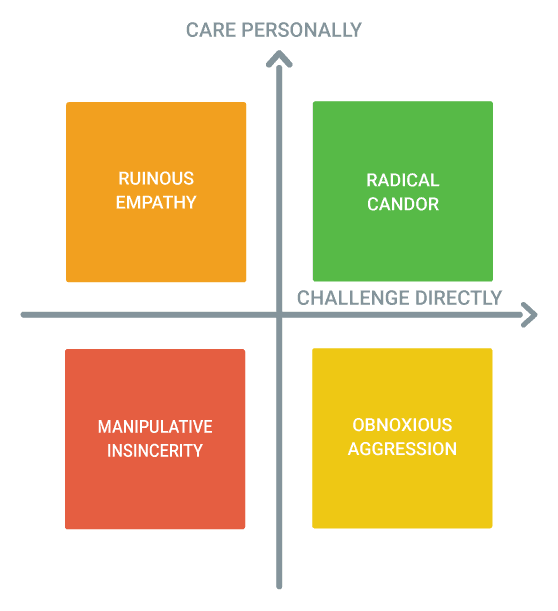 Radical Candor Episode 2 is here! In this week’s episode, Russ and Kim talk about Radically Candid criticism. What is it and why does it work? They share stories about times they screwed up and then received Radically Candid criticism. Russ and Kim also give concrete tips for offering Radically Candid criticism in your own workplace. I need you to tell me why your leadership is so weak that your Marine thought it was ok to go to Mexico, get drunk, and punch a cop. It’s not mean, it’s clear. 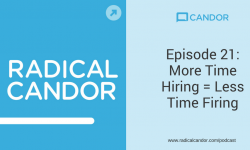 Kim and Russ talk about what you can do to make it possible for people to hear your tough feedback, how to show you Care Personally over time, and how you can also show you Care Personally with just one sentence. Tip 1: Take a moment to show that you care, to establish a human bond. Tip 3: Do not offer a feedback sandwich. Make sure to listen to the podcast for the full explanation of these tips. We’ll be back next week with a new episode from Kim and Russ. 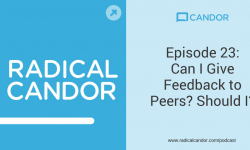 PLUS: Leave us a review on iTunes to be eligible for a Candor t-shirt giveaway! We’ll be randomly selecting listeners from iTunes reviews and announcing them on our show over the coming weeks. Hey, I’ve just found your podcast and absolutely love it – this is just what I needed to get me started and get changing things at my unbelievably dysfunctional workplace! However, I have trouble listening to a few of the episodes- the squiggly line doesn’t appear next to the Play sign, and it won’t play. Is this a common problem? Am I doing something wrong? Thanks in advance for help, I intend to listen through all the episodes! 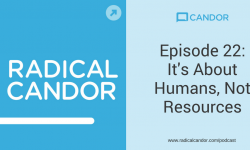 previous post: Podcast Episode 1: What is Radical Candor?